This half-moon shaped switch assembly mounts on the front rail of the organ and is wired into the organs Leslie interface kit (optional accessory). 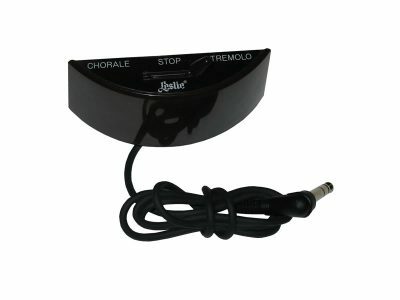 It provides the control of the fast (Tremolo) and slow (Chorale) speeds of the Leslie speaker. We recommend that a factory-trained technician install this accessory.